SPARK PLUG WATER PROOF AUTO-LITE 2245. 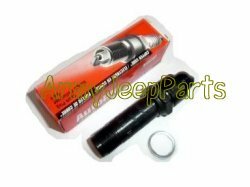 Spark plug Auto-lite 2245. These were discontinued by Auto Lite back in 2017 but AJP and 4 other companies had them run the minimum order of 5000 to get them again. These work on M38, M38A1, M170 & all M151's. The 2243 is no longer in production.